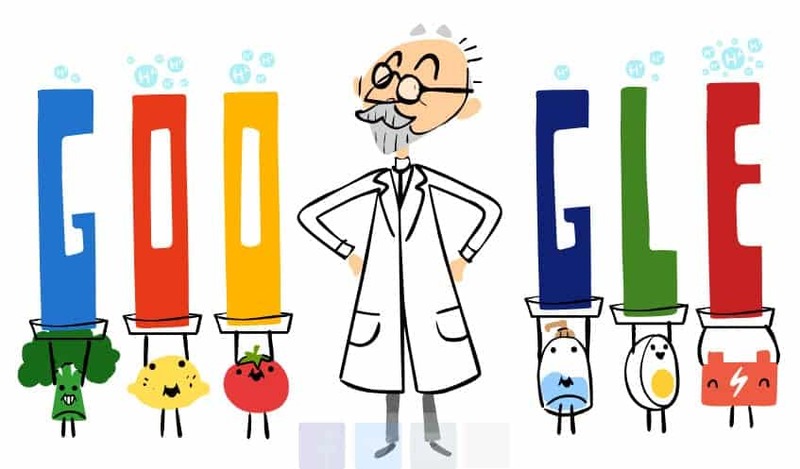 Latest Google Doodle from Google features pH Scale Founder & Creator S.P.L Sørensen. 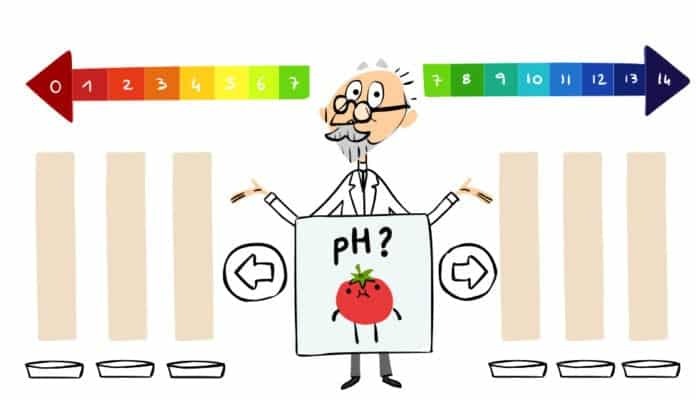 Danish biochemist Soren Peder Lauritz Sorensen has been honored by Google Doodle for his Introduction of pH Scale concept to the scientific community. The pH scale is basically used to measure acidity and alkalinity of compounds. pH is widely used in filed of biology & chemistry, specifically Biochemisrty. pH expresses the acidity or alkalinity of a solution on a logarithmic scale where 7 is neutral, lower values are acid and higher more alkaline. 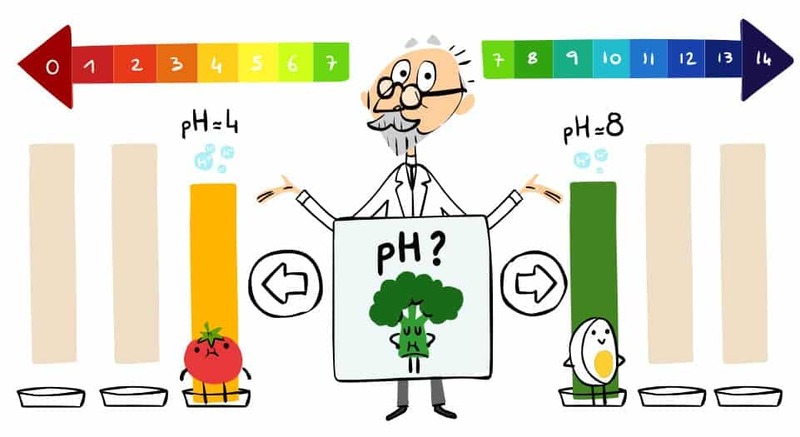 The Latest Google Doodle updated on Tuesday 29th May 2018 has been creatively designed depicting how pH scale works. It has been designed in the form of a quiz wherein you need to guess the pH value of various compounds like Lemons, Broccoli etc. an young scientist he initially had aspirations to make his livelihood in the sphere of medicine and not in chemistry. Sørensen functioned as the manager of this compound division at the Carlsberg Laboratory in Copenhagen 1901 to 1938. Sørensen’s most noteworthy achievement was with his invention of pH scale, which has been taken up till date to explain the acidity or alkalinity of a chemical or solution.The scientist generated the scale throughout 1909, developing 2 ways of measuring acidity of compounds. For latest Google Doodle on more such eminent scientists keep visiting google.com.